In June 2018 we wanted to gather views of what life was like at All Saints school. This poster was created using comments that children, parents and staff wrote down and sent in. 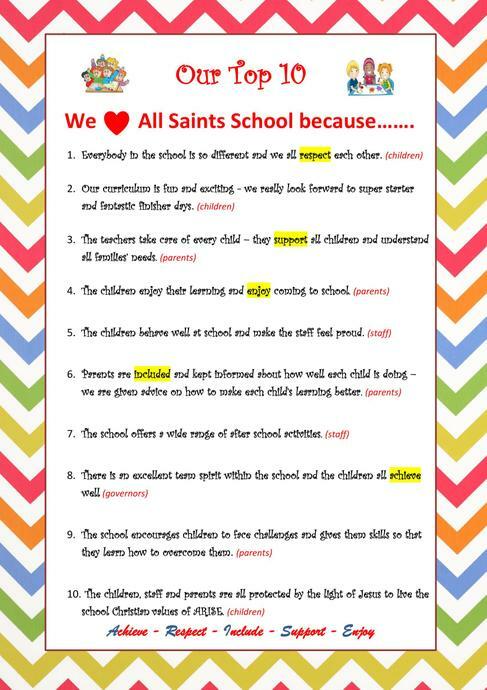 It confirms how embedded our school values actually are.